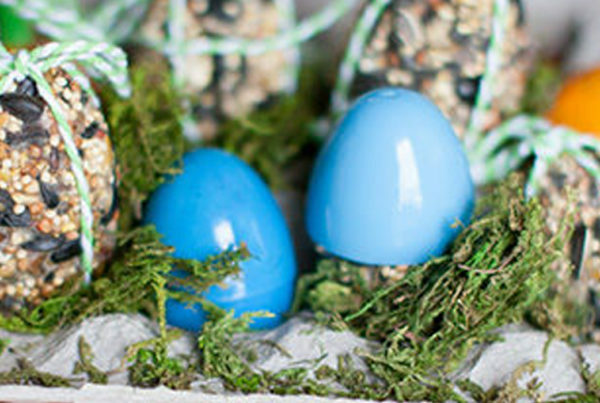 We are on the cusp of spring, and Easter awaits ready to pounce just around the corner! My favorite candy comes pastel colored and bunny shaped. I am such a sucker for anything resembling a bunny or a chick, especially marshmallow Peeps! 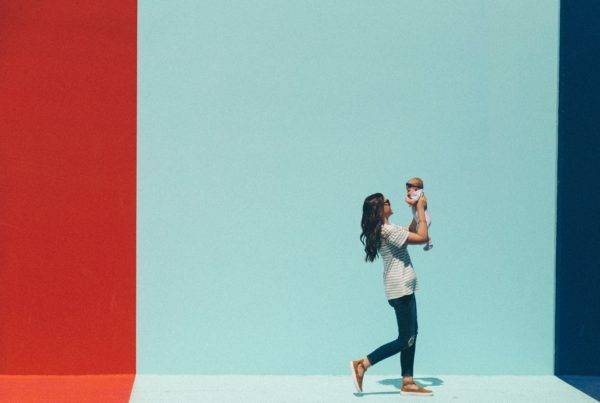 I know your mother told you never to play with your food, but being a mother myself, I had to make an exception for this edible playdough recipe! 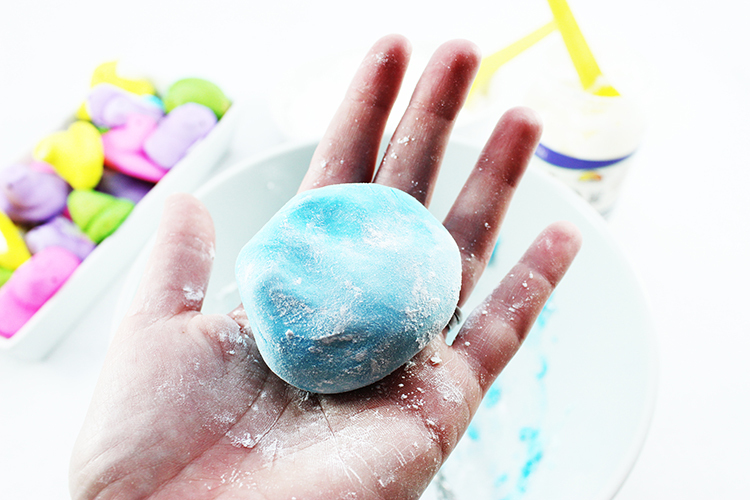 Peeps Playdough is a fun, multi-sensory experience and only requires 3 ingredients! 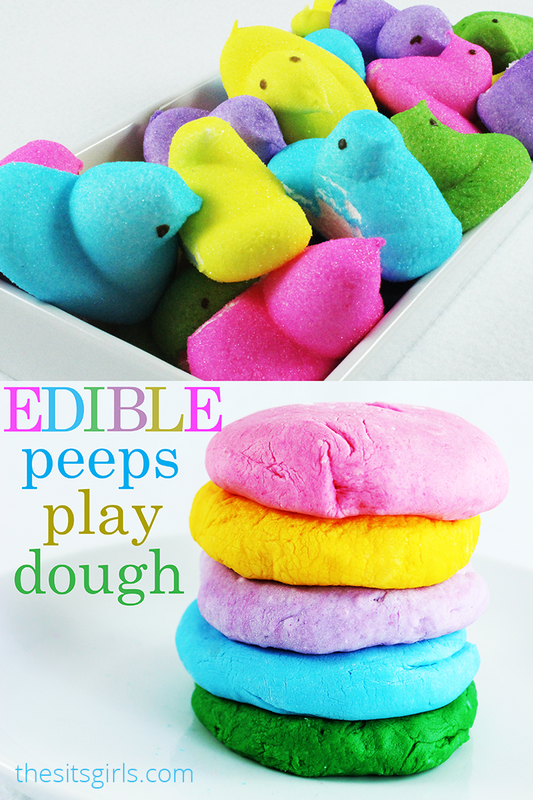 Edible Peeps Play Dough is the perfect activity for kids! They can build, and snack, and create their own sweet creations! 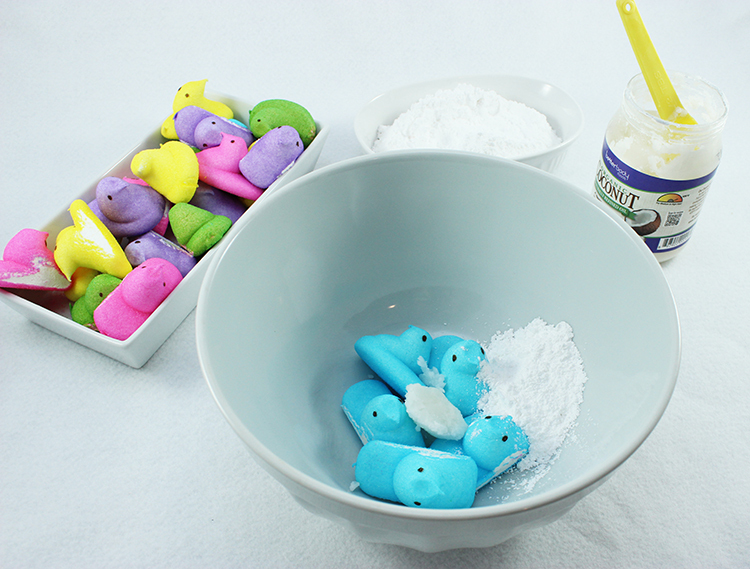 To begin, gently pull apart the 5 Peeps marshmallows and place them in a microwave safe bowl. Add 3 Tablespoons of powdered sugar and ½ Tablespoon of coconut oil into the bowl. 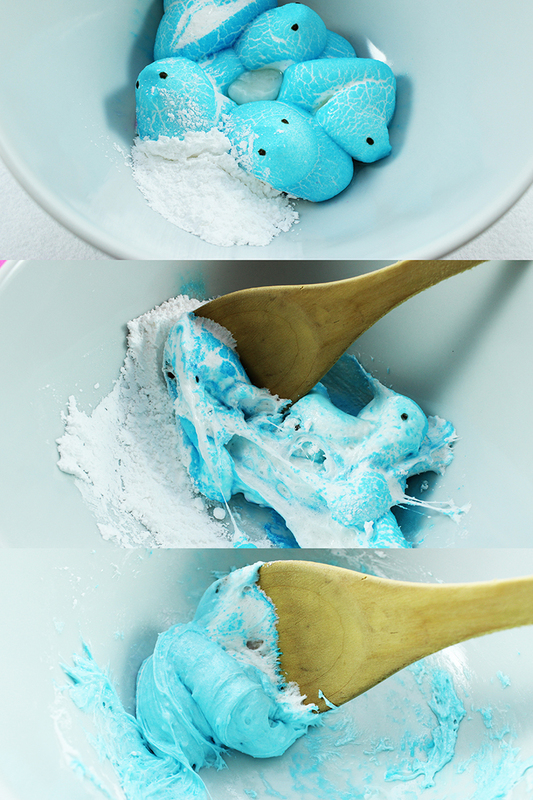 Next, microwave your Peeps mixture on high for about 20 seconds, or until the Peeps start to puff up! Then, mix your Peeps mixture up trying to incorporate all of the ingredients. If you want to add a bit of food coloring, this is the time to do it! 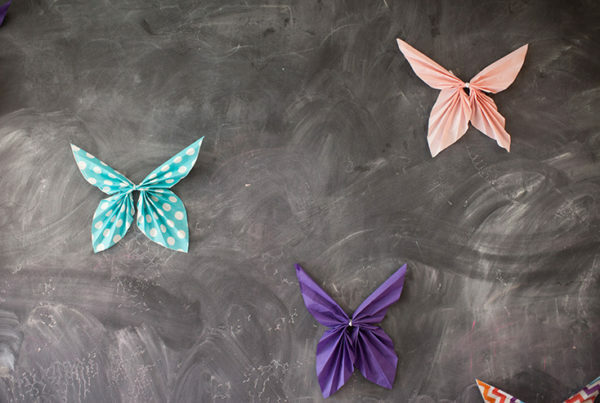 Keep mixing, and mixing, and mixing until your play dough starts to form. If it’s a bit on the sticky side, you can add more powdered sugar. 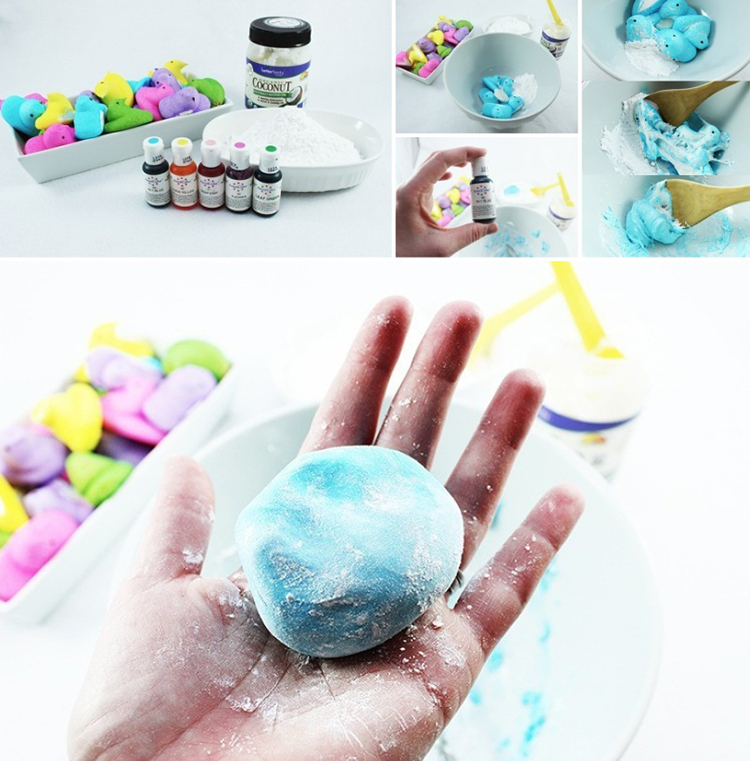 This play dough is best if used right away. If you want to store it, cover it in a thin layer of powdered sugar and store it in a tightly sealed plastic zip top bag for up to 48 hours. That is so much fun! Thanks for sharing.